The band takes the main stage, amps turned up nice and loud so you can feel the fuzzy guitar tones wash over you. A kaleidoscope of colours paints the backdrop, shifting and morphing with the crowd. The sun melts behind the stage and the sky explodes with a neon sunburst. 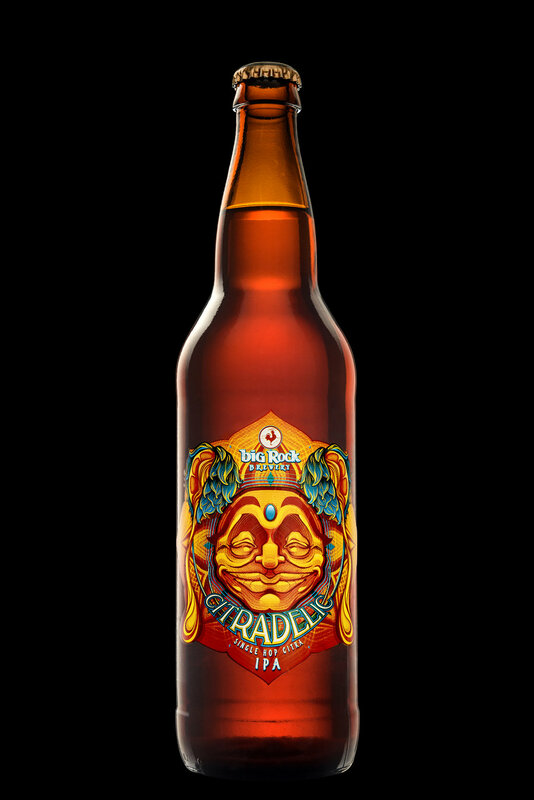 You can taste the smooth citrus and tropical tones from the Citra hops. The moment is perfect. 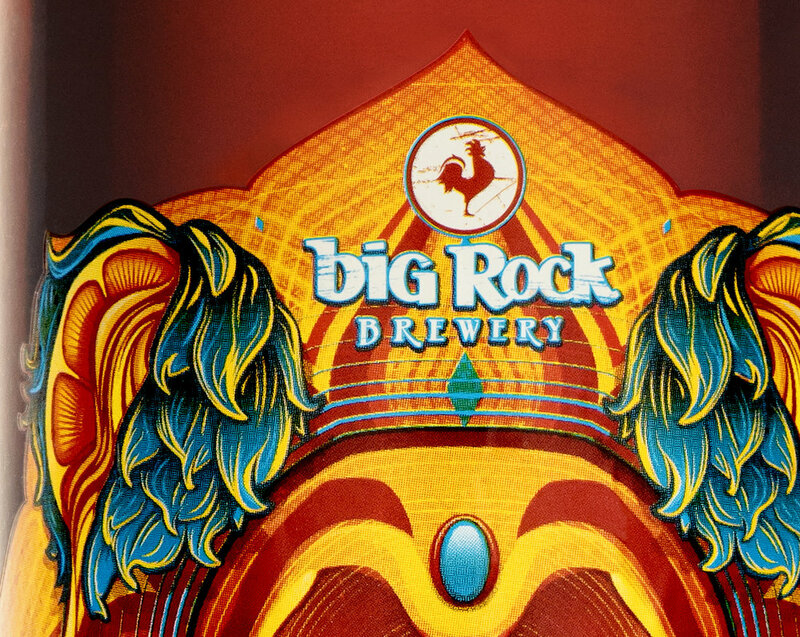 Big Rock Brewing recently opened a new brewery in Vancouver’s historic Brewery Creek neighbourhood. For their second beer release in the BC market our aim was to capture West Coast fun and evoke fresh citrus flavours, so the attitude and feeling had to be just right. 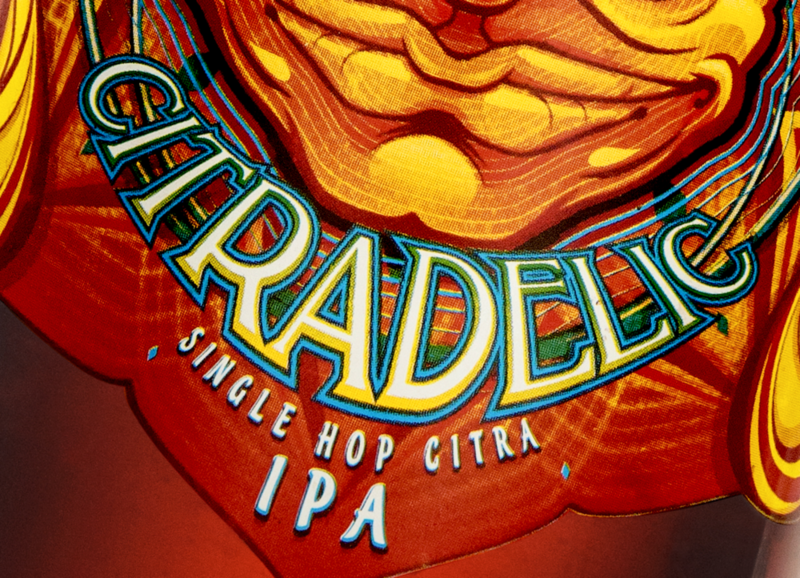 When we started to imagine the beer as music, the name Citradelic stood out for its ties to psychedelic music and art, as well as its refreshing, mellow, and citrusy connotations. From there, we created artwork that recalls psychedelic posters and 60s album art, all while invoking the feeling of a music festival in the warm summer sun.